Today’s report on Universal Credit Project from the National Audit Office reveals that the Treasury has forced DWP to abandon plans it submitted earlier this year for Universal Credit to start to replace Tax Credits from January 2015. – The start of Universal Credit replacement of Tax Credits from January 2015 has been abandoned. DWP has delayed plans by at least 2 years for the transfer of the majority of tax credits claimants to Universal Credit to 2019. It does not have plans to transfer the remaining 555,000 tax credit and Employment and Support Allowance claimants before 2020. – DWP admits that up to at least £239m of IT investment has been wasted to date, up from £131m earlier this year. This will come as no surprise to those who saw my interview on the BBC TV over a year ago. – Confirmation that Howard Shiplee the ‘Senior Responsible Owner’ (SRO) “since the start of 2014, had been working only one day a week due to ill health and has now left the programme”, and that his deputy also retired at the same time. – The roll-out of the final ‘Digital’ solution has slipped again due to severe staffing problems after DWP threw out the experts seconded from the Cabinet Office GDS. – There is no contingency plan in case the mobile ready ‘Digital’ solution encounters further problems. The report is a massive 61 pages long. Each sentence is measured and precise, there is no duplication or overlap of information – each fact reported is placed within careful context. For a mere administrative IT project to receive such careful and detailed description is unprecedented. We know also that DWP has to subsidise the unplanned continuation of Housing Benefit administration by local authorities who are using temporary and fixed-term staff whilst they wait for the Universal Credit IT to take the strain. Last year this subsidy cost £21m, rising to £41m this year and further as more Claimants are taken on to the temporary IT whilst the mobile-ready ‘digital’ solution is developed. The NAO report highlights the unrealistic nature of DWP’s planning. Project management has been badly governed and over-reliant on individuals who have been put under unrealistic expectations to ‘save the day’. In just 4 years, three ‘Senior Responsible Officers’ (SROs) have been stricken with medical problems. Tragically Philip Langsdale died[ref], and today’s report reveals that Howard Shiplee has been working one day a week after suffering a major health problem, and has now resigned. Specifically the project plans did not explain how existing benefit claimants would move on to Universal Credit, nor was there a “single coherent integrated plan or clear target operating model”. The Treasury has in effect forced DWP to agree that including all six benefits in Universal Credit is not possible in the short term. As explained previously on this blog, the idea of the ‘Lobster Pot Principle‘ is unworkable. Once a claim is on the existing, inadequate Universal Credit IT, you remain under Universal Credit rules, and as your circumstances become more complex, more and more manual intervention is required. Today’s report reveals that the NAO would expect manual workarounds to cost £2.8bn if the existing IT was to be used for the target 7m claimants. for a young, single man? However, the consultants highlighted that long-term planning was weak, and the ‘Agile’ team structure not appropriate for the scale of the delivery. 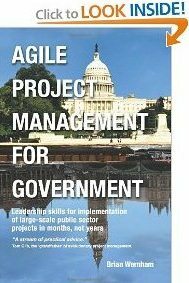 This is surprising given the amount of guidance and practical case studies available in the literature to guide the management in the use of Agile project management on large scale projects. I thought GDS walked, not were pushed? As I read it back some time ago, GDS had proposed a method of resolution/software development that introduced a third development path that would minimise risk/costs, IDS then decided that his two systems approach was best, so GDS walked. It was about this time that IDS decided to throw a wobbler and made out that the CS (Civil Service) bod was at fault (can’t remember his name) and broke with tradition of the CS being impartial and, within limits, MP’s not being allowed to cast aspersions on the CS’s office. I seem to recall this then caused an almighty set of ructions between the CS and the PM’s office. « What Banter Taught Me.